Morocco was historically inhabited by Berber people, with parts of what is now Morocco were colonies of Carthage and other Phoenicians in ancient times. Arab incomers in the 7th century led to Morocco becoming part of the Almoravid dynasty. From 1912 to 1956 Morocco was a French Protectorate. On independence it became a constitutional monarchy, where the parliament has gradually gained more control over the years from 1992. In 1975 Morocco, with Mauritania (which later withdrew from the territory), annexed Western Sahara, and this remains disputed territory, with ongoing unrest internally, and an ongoing international peace process. Morocco’s economy is dominated by tourism and the services sector, accounting for over half of GDP, with mining (particularly phosphates), construction and manufacturing accounting for a further quarter of GDP. Agriculture accounts for around 15% of GDP but employs up to 45% of the working population, and is heavily reliant on irrigation. Fishing is also a key industry. In the energy sector, Morocco is developing solar energy to lessen its dependence on coal, looking to eventually export electricity to Europe. Morocco has seen major improvements in water supply over recent decades, but rural access to improved water supplies remain relatively low. About a quarter of the total national water supply comes from groundwater, of which most is used for agriculture. Much of Morocco’s surface water resources come from dammed reservoirs. Morocco faces significant water resource problems, with unequal spatial distribution of surface and groundwater water resources, and water quality problems, including agricultural pollution. Much of Morocco is mountainous, in particular the Atlas mountains in the centre-south and the Rif mountains in the north. Much of the Western Sahara (known in Morocco as the Moroccan Sahara) is desert. Note the maps below have different elevation scales. Morocco. Map developed from USGS GTOPOPO30; GADM global administrative areas; and UN Revision of World Urbanization Prospects. For more information on the map development and datasets see the geography resource page. Western Sahara (Moroccan Sahara). Map developed from USGS GTOPOPO30; GADM global administrative areas; and UN Revision of World Urbanization Prospects. For more information on the map development and datasets see the geography resource page. The north of Morocco has a Mediterranean climate. The Atlas mountains show a range of climatic conditions through humid temperate on their lower slopes to Alpine at their highest elevation. East and south of the Atlas, the climate is dry to desert. 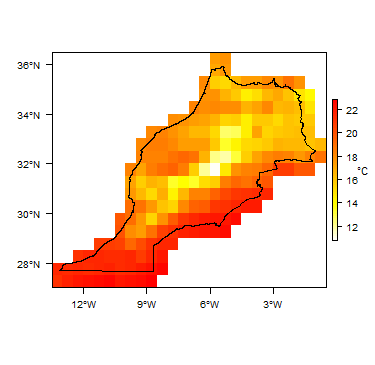 More information on average rainfall and temperature for each of the climate zones in Morocco & Western Sahara can be seen at the Morocco & Western Sahara climate page. Major surface water features of Morocco. Map developed from World Wildlife Fund HydroSHEDS; Digital Chart of the World drainage; and FAO Inland Water Bodies. For more information on the map development and datasets see the surface water resource page. Major surface water features of Western Sahara (Moroccan Sahara). Map developed from World Wildlife Fund HydroSHEDS; Digital Chart of the World drainage; and FAO Inland Water Bodies. For more information on the map development and datasets see the surface water resource page. Basin (Watershed) Agencies (see Groundwater Management section, below) are responsible for river flow gauging. There are about 700 gauging points in rivers. Gauging is generally done 3 times per month, and again during flood periods. Soil Map of Morocco, from the European Commission Joint Research Centre: European Soil Portal. For more information on the map see the soil resource page. Soil Map of Western Sahara (Moroccan Sahara), from the European Commission Joint Research Centre: European Soil Portal. For more information on the map see the soil resource page. Land Cover Map of Morocco, from the European Space Agency GlobCover 2.3, 2009. For more information on the map see the land cover resource page. Land Cover Map of Western Sahara (Moroccan Sahara), from the European Space Agency GlobCover 2.3, 2009. For more information on the map see the land cover resource page. Morocco: Water statistics from FAO Aquastat. 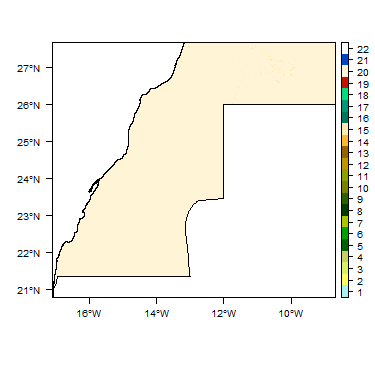 No Aquastat statistics are available for Western Sahara (Moroccan Sahara). This section provides a summary of the geology of Morocco and Western Sahara (Moroccan Sahara). For the purposes of this summary, the geology of both Morocco and Western Sahara (Moroccan Sahara) is described together. More detail can be found in the references listed at the bottom of this page. Many of these references can be accessed through the Africa Groundwater Literature Archive. The geology maps on this page show a simplified version of the geology (see the Geology resource page for more details). A more detailed geological map, at 1:1,000,000 scale, has also been published (Hollard et al. 1985). Geology of Morocco and Western Sahara (Moroccan Sahara) at 1:5 million scale. Developed from USGS map (Persits et al. 2002). For more information on the map development and datasets see the geology resource page. Quaternary to Tertiary Alluvial sands and gravels, especially around Laayaoune-Smara cities; alluvial & coastal deposits, also largely sands, along coasts; and sand dunes in deserts. Thick alluvial and coastal deposits form major basins, including the Souss basin near Agadir; the basin around Marrakech; basins along the Atlantic coast from Essaouira to Casablanca; and the Saiss basin from Rabat to Fes. Tarfaya-Dakhla basin; Plateau des Phosphates; Haut Plateau Cretaceous to Late Tertiary During much of the Cretaceous, fluviatile sandstones, marls and conglomeratic calcarenites were formed. 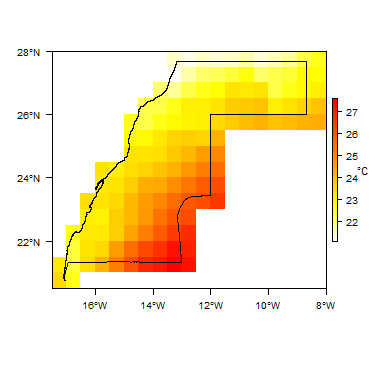 At the top of the Late Cretaceous there was a general transgression and return to shallow marine conditions in the Meseta and Atlas domains, as well as the northern Saharan region. Along the Atlantic coast, the Tarfaya-Dakhla basin corresponds to Cretaceous to Neogene sediments deposited on Triassic to Jurassic syn-Atlantic rift deposits. The Cretaceous shelf margin platforms rocks correspond to marine to lagoonal sediments with organic-rich black shales at about the Cenomanian-Turonian boundary. The Paleocene-Eocene thin sandy to marly sediments overlie unconformably the Late Cretaceous strata and, in turn, are overlain by a Miocene sequence which abruptly thickens westward. The Rif in northern Morocco is a complex zone that includes significant volumes of Cretaceous and Tertiary limestones and other rocks, as well as slivers of older rocks, including ophiolites and metamorphic basement. Other major Cretaceous to Tertiary basins include the Plateau des Phosphates north of Marrakech, which includes limestone, marls and phosphorites; and the Haut Plateau in the northeast of Morocco, which includes calcareous lacustrine deposits. The Late Cretaceous to Neogene saw Atlantic passive margin rifting and basin opening. From the Oligocene to Neogene, Cenozoic compressions began in peripheral basins and continue during Miocene with detrital subsident basins (Souss and Ouarzazate basins), with a paroxysm during Mio-Pliocene. The Rif is a thrust zone, part of the Alpine orogenic belt. High Atlas and Middle Atlas Triassic, Jurassic, Early Cretaceous Triassic synrift siltstones and sandstones, and evaporate deposits. Occasional basaltic igneous rocks from rift-related magmatism. The Jurassic series is composed of two branches of thick carbonate platforms. The Late Jurassic to Early Cretaceous saw a change from marine to fluviatile red bed sandstones, marls and conglomeratic calcarenites. Early Cretaceous red bed sandstones are seen in particular at the eastern edge of the Tarfaya-Layoune basin in southern Morocco and Western Sahara (Moroccan Sahara). Early Cretaceous rocks in the Rif are flysch-types, associated with Atlantic opening. Mid to Late Triassic rifting in the early Mesozoic is linked to the opening of the central Atlantic, causing basins to open. The climax of rifting is marked by basaltic magmatism. Dhlou-Zemmour-Tinfouf units Ordovician to Carboniferous Paleozoic tilloids, arenites, shales, limestones and sandstones crop out in the Dhlou–Zemmour and Tindouf areas. The oldest rocks are Upper Ordovician tilloids and arenites, overlain by Silurian shales and Devonian shallow water limestones. Carboniferous sandstones and limestones constitute the thick intra-cratonic Tindouf basin to the northeast of this area. There are 500 m to 2000 m of sedimentary strata detached from the autochthonous Ordovician deposits on the Silurian décollement level. High Atlas and Meseta Cambrian to Permian In the western part of the High Atlas, the 'Massif Ancien' includes deformed and metamorphosed Palaeozoic tilloids, arenites, shales, limestones and sandstones crop out, intruded by many Variscan granites. To the east of this are many inliers of similar rocks (at Aït Tamlil, Skoura, Mougueur and Tamlalet. Paleozoic metamorphic rocks crop out in many massifs of the western Moroccan Meseta (Jebilet, Rehamna, Maroc Central) and the eastern Meseta (e.g. Tazekka and Debdou), consisting of schists to micaschists, intruded by many sys- to late-orogenic granitoids. The High Atlas is irregularly deformed by Variscan compressions. The western and eastern Meseta areas belong to the most deformed zones of the Variscan orogeny, at the southern continuity of the Variscan chain of Europe. Neoproterozoic High-grade metamorphic rocks occur in the nappes fo the Adrar Souttouf Massif, intruded by granitoids and by mafic and ultra-mafic dykes. The Oued Togba and Sebkha Gezmayet units are of peri-Gondwanan origin (Avalonian and Meguma) (Gärtner et al., 2013), while Dayet Lawda and Sebkha Matallah units are derived from oceanic crust (Gasquet et al. 2008, Rjimati and Zemmouri 2011). Rocks of the central and eastern part of the Anti-Atlas, mainly along the Bou Azzer-Siroua suture, and to the north in the Saghro and the High Atlas massifs, are derived from oceanic crust, corresponding to remnants of Lower Neoproterozoic ophiolite obducted during the Pan-African orogeny. Neoproterozoic rocks related to the Pan-African cycle directly overlie Archean and Palaeoproterozoic rocks. Metamorphic nappes of the Adrar Souttouf Massif (Ouled Dlim) correspond to the northernmost outcrops of the Variscan Mauritanide Belt. This area consists of a metamorphic NNE-SSW trending nape stack thrusted top-SE onto the western Reguibat Arch. Four main structural domains are distinguished from west to east: Oued Togba, Sebkha Gezmayet, Dayet Lawda, and Sebkha Matallah (Villeneuve et al. 2006, 2010). The entire region is characterised by Neoproterozoic and Variscan-Alleghanian polyphased metamorphic overprint, corroborated by geochronologic data (Villeneuve et al. 2006, Gärtner et al. 2013). Palaeoproterozoic The Palaeoproterozoic basement rocks are limited to the centre-western part of the Anti-Atlas inliers, including the areas of Kerdous, Bas Draa, Tagragra and Zenaga. They consist of supracrustal schists and migmatites, which have been intruded by various Eburnean granitoids. South western Archean terrane Archean Rocks of Archean age crop out in the southwest Reguibat Shield area. They are dominated by supracrustal rocks, including orthogneisses and granitic rocks with scattered lenses of metagabbros and serpentinites (greenstone belt), and supracrustal rocks including laminated, ferruginous quartzites, felsic gneisses with pyroxene-rich gneisses, cherts and impure marbles. U-Pb zircon ages of 3.04 to 2.83 Ga were obtained from intrusive granitoid rocks (Lahondere et al. 2003), suggesting a Mesoarchean age. The Reguibat Shield area of the Archean basement is part of the West African Craton. This section provides a summary of the hydrogeology of the main aquifers in Morocco and Western Sahara. 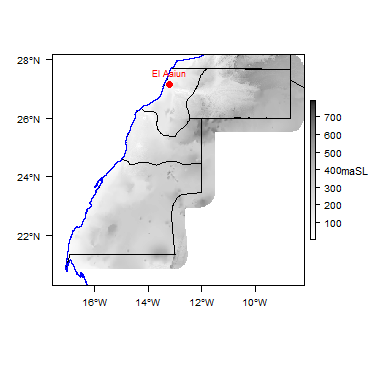 For the purposes of this summary, the hydrogeology of both Morocco and Western Sahara is described together. More information is available in the references listed at the bottom of this page. Many of these references can be accessed through the Africa Groundwater Literature Archive. The hydrogeology maps on this page show a simplified overview of the type and productivity of the main aquifers (see the Hydrogeology map] resource page for more details). 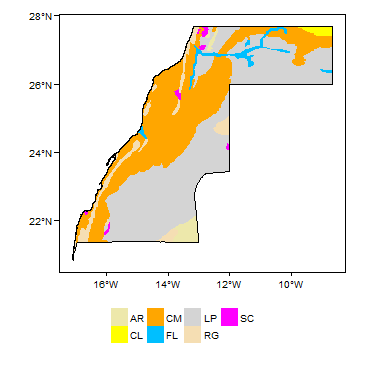 Hydrogeology of Morocco and Western Sahara at 1:5 million scale. For more information on how the map was developed see the Hydrogeology map resource page. Productive aquifer formations occur in most of the major sedimentary units, at various depths. Extensive tectonic activity has caused layering of sedimentary formations, and moutainous areas. Snow and rain in the Atlas Mountains are the major source of Morocco's water resources. Six major hydrogeological domains are sometimes identified: the Saharian domain includes most of Western Sahara; the South Atlas domain includes the area of the Anti-Atlas; the Atlasic domain includes the High and Middle Atlas; the Eastern domain in the northeast of Morocco (the Eastern Meseta); the Atlantic domain in the Western Meseta, along the Atlantic coast; and the Rif zone in the north. Within each of these domains, there are similarities in geology and climate, but groundwater also exists in different geological environments. The description below highlights the different geological environments, which are the dominant control on aquifer hydrogeology. Tertiary - Quatarnary Alluvium. Discontinuous alluvial aquifers occur along river valleys and as basins in the major plain areas. They comprise mixed deposits of sand and gravel, sometimes interlayered with low permeability silts and clays to form multilayer aquifers. They range from a few metres to 200 m thick. Aquifer properties are variable, depending on lithology. Aquifer productivity is highest in alluvial aquifers in valleys of larger perennial rivers. The aquifers are mainly unconfined, and water tables are highly variable, from 0 to 50 m deep. Boreholes abstracting from alluvial aquifers range from 5 to 150 m deep. Groundwater storage depends mainly on recharge. Groundwater quality is highly variable, from good to very bad. Recharge occurs from direct rainfall infiltration and leakage from adjacent river flow (which is fed largely by flow from the Atlas Mountains). Igneous rocks include basalt and granitic rocks, and are located mainly in the south and the Meseta region. The hydrogeology and groundwater potential of the rocks has not been extensively investigated. 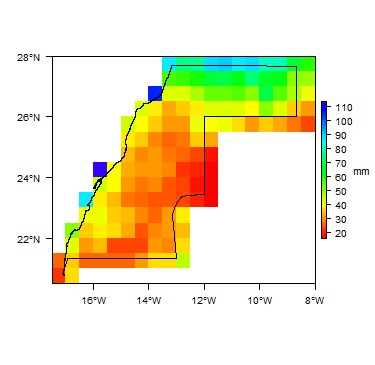 Aquifer thickness is likely to be very variable, and may reach more than a few hundred metres at most. The productivity is thought to be typically very low, and entirely related to fractures and weathered zones - intergranular porosity and permeability are virtually non-existent. Aquifers are likely to be unconfined. Boreholes into igneous aquifers range from a few metres to 300 m. Groundwater resources likely to be small. Generally good quality. Recharged mainly by rainfall. Sandstone aquifers, of Palaeozoic to Cenozoic age. E.g. Ouarzazate basin, Rif-Gharb, Laayoune basin (Sahara), Pre-Rif and Rif Sandstone aquifers of different ages occur in different basins across the country, and are of different importance in terms of groundwater potential from region to region. The main important ones are located in Tadla, Saïsis, Tensift and northern plains. 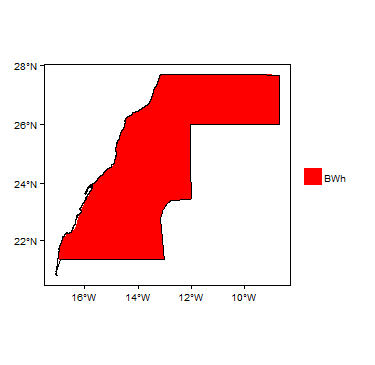 Aquifer thickness generally ranges from 10 m to 200 m. Water tables are very variable in different basins, and the aquifers can be confined or unconfined. Groundwater quantity varies from basin to basin, depending largely on recharge. Variable quality from good to medium. Salinity from evaporates in Triassic and Jurassic formations can impact groundwater quality. Recharge is from rainfall and from leakage between aquifers. Karstic aquifers, of Cretaceous, Jurassic and Cambrian age. E.g. Atlantic basins, Moulouya-Horsts chain, Guercif-Causse Oral High Atlas Karstic aquifers are found mainly in the Rif and the High, Middle and Anti Atlas mountains, with a few deep aquifers in some plains (e.g. Tadla, Fes-Sais, Essaouira). They constitute very important water resources, manifested by many important springs. 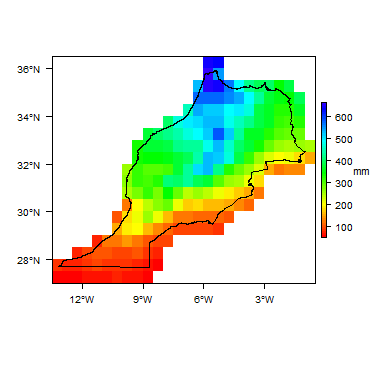 Aquifer thickness is very variable, from 10 m to 1000 m.
Flows from these mountainous aquifers constitute the main origin of all rivers in Morocco. Spring discharge varies from a few litres/second (l/s) up to 3000 l/s. The aquifers in the Atlas Mountains are unconfined, but at depth below the plains are confined. Water table depth depends on recharge and exploitation. Several springs with very large, important discharges. Globally good quality Recharge occurs mainly from rainfall and snow melt. Crystalline Precambrian and overlying Palaeozoic (meta) sedimentary rocks These aquifers are formed by Precambrian crystalline basement rocks overlaid by (meta)sedimentary Paleozoic rocks. They are located mainly in the south, in the Anti Atlas and Sahara. Groundwater flow and storage is limited to fractured zones, which can be from 10 m to 400 m thick, but groundwater is usually encountered at shallow depths. Pumping tests show aquifer productivity is low, and flow rates are low. The aquifer is unconfined everywhere. Resources are exploited for water supply by wells and springs, mainly for rural populations, including nomads. The exception are karstic limestones of Cambrian age, which can form very productive aquifers (see above). Limited recharge. Small and localised abstraction. Drilling costs are very high. Acceptable quality. Very low rainfall (60 to 100 mm /year) means limited recharge, largely by direct rainfall infiltration. Groundwater is a strategic resource, representing 20% of total water resources, or a total of some 4.2 billion cubic metres (BCM) per year across 9 major basins. There are 6 major hydrogeological areas which contain 103 aquifers of variable importance, from local to regional size. Of these, 32 are deep or confined aquifers, and 98 are shallow. Most is known about the shallow aquifers; less is known about the hydrogeology of the deep aquifers. Groundwater in all aquifers is experiencing stress, with falling water levels related to over-abstraction and low rainfall (and therefore low recharge). Statistics indicate that there is an annual groundwater deficit of 1000 million m3, and in some aquifers water levels are falling by up to 2 m per year. Climate change models indicate that in future there will be an intensification of drought occurrence, indicating that groundwater stress is likely to increase. Artificial recharge of aquifers is part of important actions carried out by the Department of Water, aiming to replenish, at least in part, strategic reserves of groundwater resources. This would allow for the restoration of the balance of these aquifers or, at least, the mitigation of the recorded deficits, as well as the slowdown of the progress of saline intrusion in coastal areas. At a national level 24 aquifers that are experiencing advanced overexploitation, may be the subject of the artificial recharge in order to mitigate their deficits. The total volume that can be injected in the whole of these aquifers is estimated at nearly 200 million m³. Groundwater quality degradation is occurring in many areas, linked to falling groundwater levels, including saline intrusion; pollution by nitrates (fertilizer); and natural (geogenic) salinity. Pollution by nitrates originates from essential agricultural activities, especially in irrigated areas. Aquifers which are significantly affected by nitrate pollution include Tadla, Berrechid, Triffa, Doukkala, R'mel, Tafilalet and Massa. The aquifers of Martil, Gharb, Chtouka, Guercif, Charf El Akab, Beni Mathar, Laou, Souss, Kert, Tafilalet and Haouz have less nitrate pollution overall, but have localised pollution. The level of nitrogen in some aquifers, including that of Beni Moussa in the Tadla and Mnasra in the Gharb, exceeds the maximum allowed limit of 50 mg/l. The problem of salinity of coastal groundwater, because of sea water intrusion, is acute, especially for the aquifers of Nekkor, Kert, Gareb, coastal Chaouia and Mnasra. Salinity also exceeds the permitted threshold in many groundwaters where the recharge area contains evaporate rocks (Halite and gypsum). The Moroccan oases are irrigated by a traditional hydro-system called khettara (shallow groundwater canals). Surface water for these canals is supplied by runoff from the Atlas Mountains. This irrigation system was used largely in the Haouz Plain around Marrakech and the Souss Valley in the region of Agadir. Currently, this system is still in use only in the southeastern part of the country, in the plain of Tafilalt. More than 20 000 springs have been inventoried. Some of these springs supply water plans (lakes, swamps and ponds). The important lakes are in the Middle and High Atlas (e.g. Dayet Aoua, Ouiouane, Aguelmame Azigza, Iffer, Ifrah, Roumi, Ifni). The country contains 160 water plans, of which 24 are declared humid zones according to Ramsar sites. About 25% of the total national water supply comes from groundwater. Of this, up to 15% is used for drinking water and industry, and between 85% and 96% for irrigation and livestock watering (data from the Hydraulic Department and UNESCO). Industrial use includes hydropower and tourism (hotels, golf irrigation, etc). About one third of water used for irrigation is groundwater. The main types of groundwater source are boreholes with electric pumps, traditional (hand dug) wells, and major springs (e.g. Bittit, Ribaa, Ain Asserdoune, Bouadel and Abainou). The Ministry of Agriculture and Marine Fisheries has a role to develop and implement agricultural policy at the national level and to coordinate the actions of hydro-agricultural planning and management of irrigation, particularly those carried out by the Regional Offices of Agricultural Development (ORMVA). The Ministry of Interior is active in the field of the water through chairing the commissions of public inquiries relating to applications for digging of wells, of realization of drilling, sampling of water and for the recognition of rights of water, the delimitation of the Hydraulic Public Domain and the establishment of protective zones. The Ministry of Economy and Finances, through its prerogatives in terms of control of the expenditure of the ministerial departments and financial guardianship, exercises influence on the public institutions involved in water management and therefore plays an important role in the water policy of the country. The Ministry of Higher Education, Scientific Research and Professional Training contributes and finances research within the hydraulic department of the Ministry of Energy and Mines, Water and Environment. - The Law 10-95: September 20, 1995 relative to Water, called the Water Law. - The Law 11-03: May 12, 2003 relative to the Environment. The latter is the “Aquifer Contract” established by the hydraulic agencies to manage and save water resources in the country, especially within the overexploited areas. This Contract is signed by all stakeholders in the field of water, and by especially users. It constitutes good experience and achievement for water resources management. -	Improve knowledge of all groundwater resources -	Artificial recharge of groundwater -	Reuse of treated wastewater -	Desalinization of Brackish groundwater -	Desalinization of sea water. Groundwater level monitoring is carried out once a month by the 9 Watershed (Basin) Agencies for important and overexploited aquifers. For other aquifers, monitoring is done twice per year. The data are stored in the Hydraulic Department of the Ministry of Energy and Mines, Water and Environment and in the Basin Agencies. Important background data also exists in laboratories within universities and research institutes. Groundwater quality monitoring is carried out once a month by the Basin Agencies. Data are stored in the Basin Agencies and in the Department of Water of the Ministry of Energy and Mines, Water and Environment. Monitored parameters are mainly the major elements (Na+, K+, Ca2+, Mg2+, Cl-, SO42-, HCO3-, CO32-, NO3-), heavy metals, and bacteriologic indicators. Important background also exists in laboratories within universities and research institutes. The only transboundary aquifer is on the northeastern border, but groundwater resources in this aquifer are very limited. Faysse N, Errahj M, Kuper M and Mahdi M. 2010. Learning to voice? The evolving roles of family farmers in the coordination of large-scale irrigation schemes in Morocco. Water Alternatives 3(1): 48-67. Food and Agriculture Organization of the United Nations (FAO). 2009. Groundwater Management in Morocco: Draft Synthesis Report. Food and Agriculture Organization of the United Nations. Rome, 2009. Lavenus R, Fradet J et Chazot S. 2016. Gestion des ressources en eau souterraines comme biens communs. BRLIngénierie. NOTES TECHNIQUES/ TECHNICAL REPORTS N° 18 JUILLET 2016. Agence francais du developpement.